I have found my new favourite food spot and lucky me it’s in east London for ones! (Yay!) 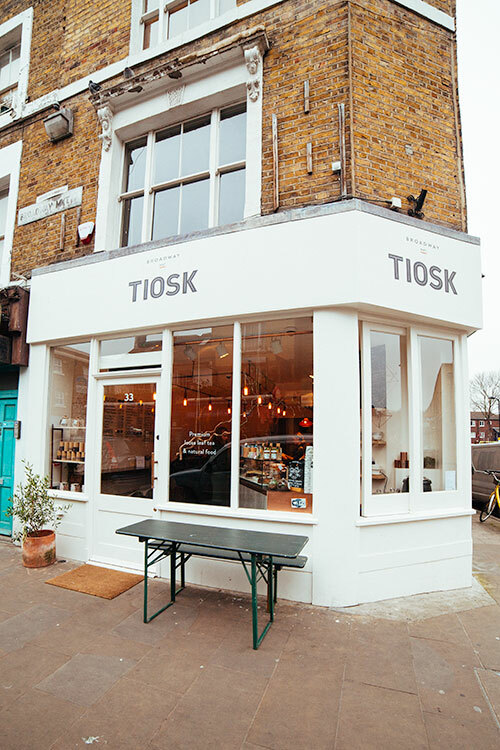 Tiosk opened only a few months ago and is now supplying Broadway Market with clean Scandi design and clean food. They specialise in teas and serve their hugh range in the most beautiful glasses or glass pots. Get ready for a photo bomb here because this place really got me clicking and don’t forget to scroll all the way down to meet the owner! I don’t know what is the best thing about this place because it’s all good but the fact that it serves good quality vegan and gluten free food which is actually really affordable makes it the new place to be for me. The chef Nicky Clinch is a trained macrobiotic chef who makes clean natural food which focuses on in season foods. I brought my partner to help me test the menu and we couldn’t decide which plate was the best. So we decided all of them! We had a lentil and vegetable soup, a dahl with rice and black sesame seeds as well as a beautiful salad plate filled with rice and black sesame, steamed mangetout and chinese broccoli, smashed avo, leaves, nuts and seeds and a yummy portobello mushroom with crispy sage. Tiosk don’t just do lunch, they also serve breakfast like bircher muesli pots and smashed avo on toast. I’ve not yet tried it myself but the bircher pots look amazing. They have three different flavoured bircher mueslis which are topped with coconut yoghurt and a homemade compote, when I visited it was rhubarb. Each pot also has a topping suitable to the bircher flavour. So far there is no gluten free bread for the avo toast but I was informed that they are tasting away to find a suitable match. I will be hanging on the door when they do. Now, let’s talk about the tea. Tiosk don’t serve coffee but are focusing on tea instead and it’s health benefits. They do make matcha lattes though for all of you out there who need an energy fix. For me this is perfect as I’m not a coffee lover but even if you are there is such a large amount of lovely loose leaf teas at this place that you’ll be able to find at least one (if not 30) that suit your palette. They also sell The Pressery mylks and Crude juices. A variety of natural sweeteners and three different milks are on offer; cow, soya and almond. Thumbs up for the almond milk! I tried the milk oolong and the green tea called Gyokuro which was a real winner, my partner wanted to take the whole jar home. I think you have realised that this place has it all (except coffee, sorry coffee lovers) if you’ve gotten this far, I have no complaints! 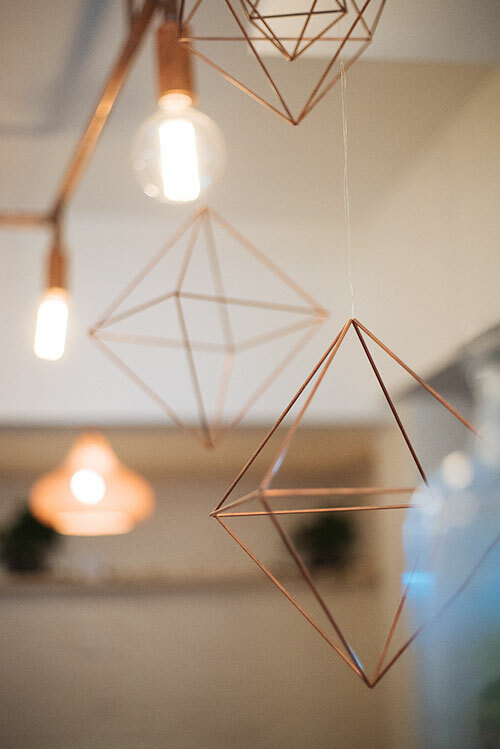 It’s a 5 out of 5 for sure and I am very excited to tell you that I got the chance to speak to part owner Natasha Kelly who answered a few of my questions about the place and her favourites on the menu. Below are all her answers! My business partner and I both come from a fashion background. We have known each other now for 25 years having met in our early twenties. Although we only saw each other once a year, we both lead very similar lives, both in stressful senior corporate American fashion roles and both with a big gaggle of children – 4 each to be precise! 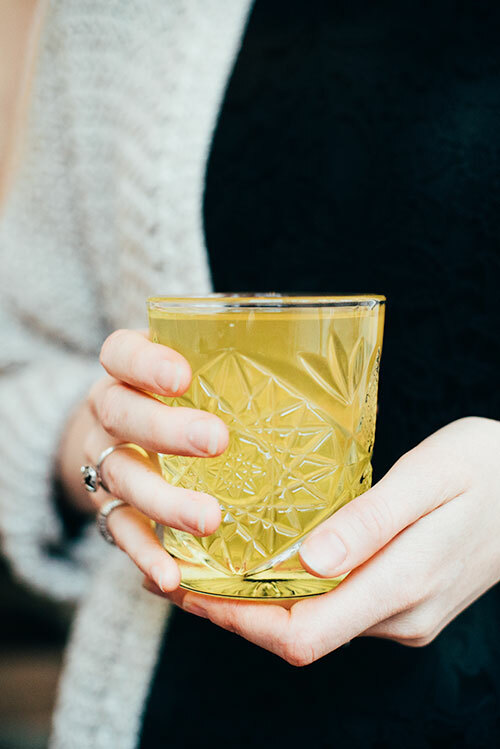 Where does your passion for tea come from? It was almost one of those Erika moments. Tea was such an obviously undervalued commodity in terms of what you could find on the high street (especially as it is the 2nd most consumed drink in the world!). 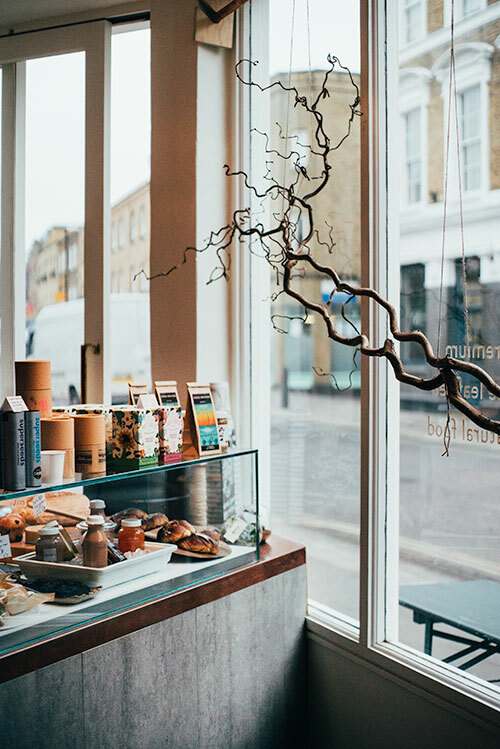 There was nowhere in London that you could find beautiful, natural loose leaf tea in a cool, contemporary environment. We have come to expect this of coffee, but we were still happy to have some hot water and a tea bag thrown at us where tea was concerned. And so Tiosk was born. Why is offering a healthy and natural menu important to you? We both lead very busy lives and travel a lot, through this we feel that there is often no choice. 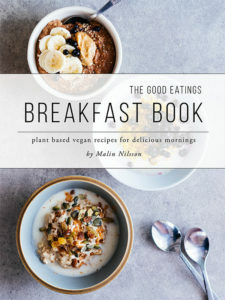 If you choose to eat no meat or fish, dairy or gluten or even refined sugars or none of them, then there should always be a delicious option for you. And so developed the natural food for TIOSK. I then hunted down an amazing local Natural foods chef called Nicky Clinch and the foundation of our menu grew from there. What are your favourites on the Tiosk menu? 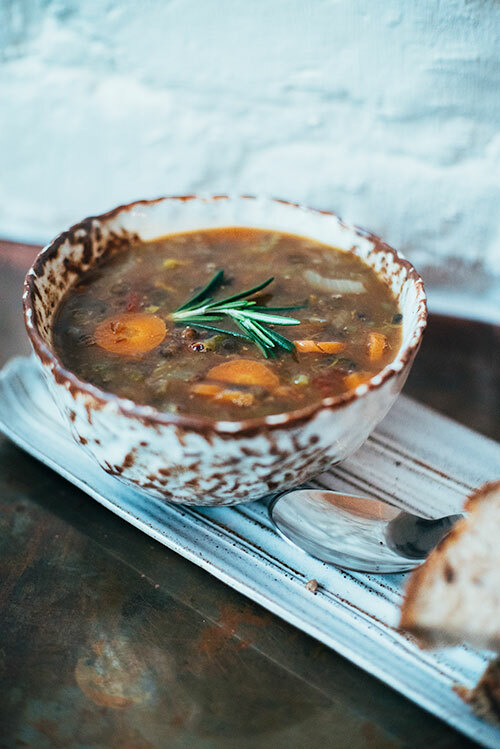 My favourite food has to be the Vegan Dhal or is it the Gingered black bean stew? Let’s just say those are two of my favourites. 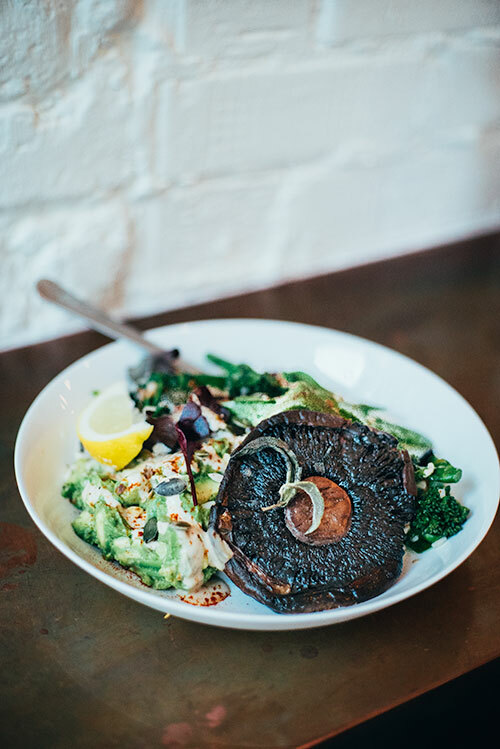 I also love our new Goodness Bowl, which is the grain salad of the day with smashed avocado topped with seeds, lettuce and portobello mushroom with crispy sage. We also do a totally delicious vegan Bircher with coconut yogurt, homemade compote and gluten free Muesli. Our everything free raw Brownie is another little addiction of mine. In terms of drinks my January favourite was the Matcha Latte – so rich in antioxidants! For February, it is the Soy Ginger latte and for March it will probably be something lighter and cleaner like a beautiful Gyokuro green tea. What drew you to Broadway Market? I have lived close to Broadway Market for the last 11 years and have seen the street change into this beautiful foodie haven. There was nothing in the area that focused only on Tea and on a clean, health driven food offering. East London folk are inquisitive, always interested in new, exciting or different things, so we felt sure this was the place to launch Tiosk. Where are your East London gems (other than tiosk that is)? For cosy winter nights with a large glass of red wine it has to be PINCH – 51 Greenwood Rd, probably the smallest bar in Hackney. And for the coolest clothing in London, it has to be 69b on Broadway Market. The boutique exclusively stocks designers engaging in sustainability. There is always something you just have to have there! Find out more about Tiosk here.